Kansas City, Missouri, March 10, 2016 — Today at SXSWedu in Austin, LRNG CEO Connie Yowell announced a major expansion of the LRNG Cities movement. 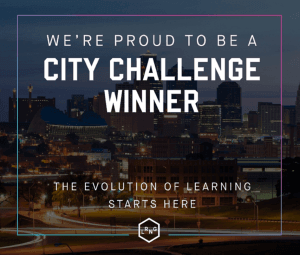 Kansas City is one of eight winners of the national LRNG City Challenge and will receive a grant of $50,000, made possible by support from the Fossil Foundation, to begin networking learning opportunities throughout the community. LRNG is a new, youth-centric movement focused on turning learning into a lifestyle. With LRNG, young people can pursue their passions, connect with peers and mentors, and access new paths to college and career. LRNG is working to close the nation’s opportunity gap by reaching teens and young adults who are locked out of traditional paths to success. LRNG is powered by Collective Shift, a new nonprofit supported in part by the John D. and Catherine T. MacArthur Foundation and dedicated to redesigning social systems for the connected age. With its new technology platform, LRNG enables cities to network their existing learning resources — like schools, libraries and community centers — and connect young people directly to in-person and online activities in their communities. Young people in LRNG Cities can also access high-quality online content, including learning experiences called Playlists that are designed by the national LRNG team and partners such as EA, Best Buy, Fossil, Gap, #YesWeCode and We.org. As an LRNG City, Kansas City will build partnerships between existing community resources on and offline to help the city’s youth learn anywhere and anytime. KC Social Innovation Center will coordinate local efforts with the national LRNG movement. LRNG summer programming kicks off in June to prevent summer learning loss and encourage workforce development through partnerships with summer jobs programs. “This is an amazing opportunity for the Kansas City metro area to be able to introduce a platform that can organize our region’s educational resources, create access for underserved students, and unlock opportunities for youth while building our capacity as a true net-centric, digital city,” said Kari Keefe, Executive Director of KC Social Innovation Center. “We are so fortunate to have such a collaborative community, and leadership from these key partners: KC STEM Alliance, Kansas City Public Library and the Mayor’s Office in City of Kansas City, Missouri. Plans will begin immediately on an integrated pilot with Kansas City Mayor Sly James and the Office of Civic Engagement’s summer youth program, Hire KC Youth, with a job fair on April 16th at the Kauffman Foundation. Youth in the program will go through a series of learning experiences, and they’ll be able to earn micro-credentials or badges that will unlock access to specific jobs and opportunities over the summer. Kansas City joins a national movement that includes Chicago, Dallas, Pittsburgh and Washington, D.C., which have already worked as established LRNG Cities. Other LRNG City Challenge winners include San Diego, San Jose, and West Sacramento, CA; metro Columbus and Springfield, OH; Rochester, NY; and Philadelphia, PA.
For more information about LRNG, visit www.about.lrng.org and follow @WeAreLRNG on Twitter. Collective Shift is a nonprofit dedicated to redesigning social systems for the connected age. Collective Shift’s first endeavor is LRNG, a movement that closes the opportunity gap by transforming how young people access and experience learning, and the paths they can take to success. For more information, visit CollectiveShift.org.  KCSIC is a community lab designed to inspire & advance innovations in edu, learning & workforce development to ignite growth, prosperity & inclusion in digital cities. We focus on learning as a way to create and deliver social impact, and catalyze the creation of new education technologies, learning sciences, and next generation models to empower a 21st century workforce and ignite lifelong learning with the imperative that all youth have the opportunity to succeed. For more information, visit KCSocialInnovation.org.